Forest officers now need just one device—a tablet with Collector for ArcGIS—for both data collection and navigation. Photo courtesy of the City of Jihlava. The forestry department of a Czech city has expanded its use of the ArcGIS platform to provide improved data collection and more robust decision support. The City of Jihlava, located at the center of the Vysočina region in the Czech Republic, which has been using GIS for decision support for more than 15 years, already used the ArcGIS platform. Collector for ArcGIS, a free app for collecting spatial data in the field using iOS or Android devices, was already used by the city for managing its cemetery. The city’s forestry department was interested in using Collector for ArcGIS for forest management tasks. More than 30 percent of total district area is covered with forests. However, mobile connectivity is a problem in the Vysočina Mountains. 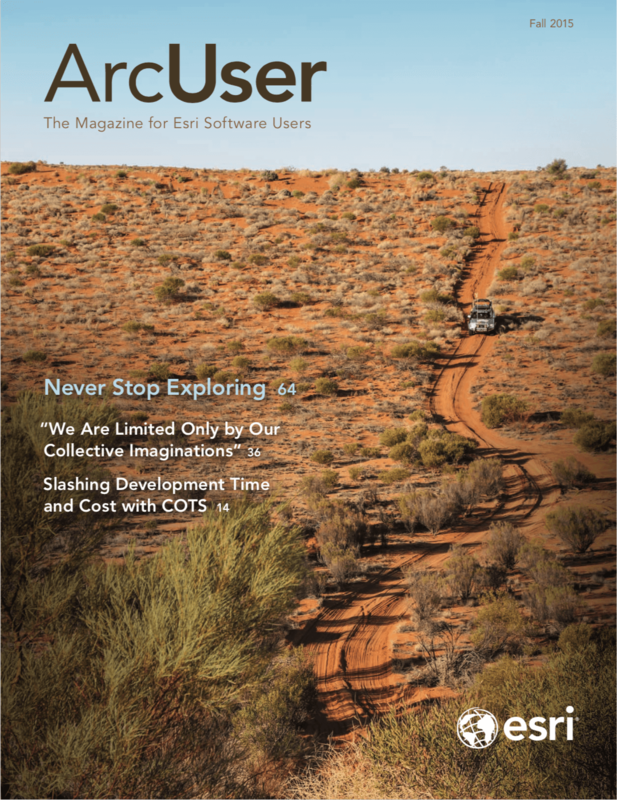 This made use of online GIS impossible until a new release of Collector for ArcGIS provided offline capabilities. 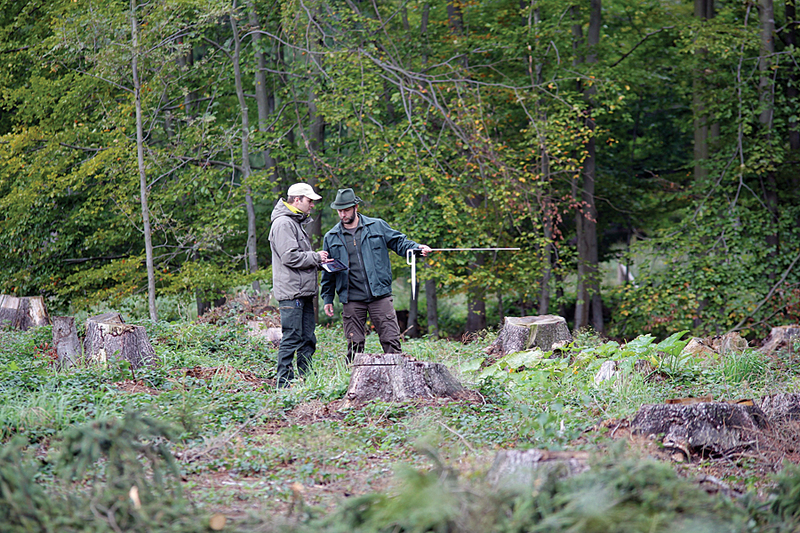 The Forestry and Hunting Department of Jihlava is responsible for sustainable forest management activities that include hunting and forest health monitoring. The department’s officers, who create and review forest management plans and other aspects of environmental management, work with large datasets every day. Editing paper maps is quite difficult, especially in the middle of a forest. Staff working in the field used to bring along paper documents, notepads, and cameras. It could take hundreds of hours to complete the fieldwork for a forest. The first step taken to improve this situation was to store PDF versions of maps on tablet devices. These were maps that used an imagery basemap with a cadastral map layer. The IT administrator prepared PDF maps for selected areas until, little by little, maps for the whole district had been created. GIS provides much more information than simple PDF maps. That’s why the GIS department started to explore the use of online apps. Maps created by the National Forestry Programme of Czech Republic include data about owners, forest cover, economic plans, timber harvesting, forest age, and other information. Officers initially used a basic desktop viewer that had been designed especially for exploring economic forest plans. The City of Jihlava, located at the center of the Vysočina region in the Czech Republic, has been using GIS for decision support for more than 15 years. Before implementing Collector for ArcGIS, some important deficiencies needed to be addressed. The City of Jihlava lacked the authoritative land records needed for forest management. However, the Vysočina region, which encompasses the City of Jihlava, had more complete datasets. Using the Vysočina geoportal, both organizations shared datasets and created a complete forest cover map for the district of Jihlava. In cooperation with forest officers, an imagery basemap, cadastral map, and the forest cover map were combined. To prepare the web map, they used tile packages and synchronization GIS services with attachment support. In fall 2014, everything was in place. Esri tutorials and resources, such as Python scripts, had been helpful in solving issues. When this solution was presented to forest officers in November 2014, they were surprised by its efficiency and accepted it enthusiastically. Collector for ArcGIS is now used throughout the organization, even by nontechnical officers, who previously used only paper maps. All have come to value the simplicity and ease of use of this tablet solution. Officers need just one device—a tablet with Collector for ArcGIS—for both data collection and navigation. Now, most of the required information is stored in an ArcGIS geodatabase. Officers can explore a map of the area, examine current information on an individual plot, and view any related attachments. If additional data is needed, it can be gathered in the field using Collector for ArcGIS. The ArcGIS platform has improved forest management overall. Furthermore, collaboration with other departments from the City of Jihlava and the Vysočina region has encouraged these organizations to adopt Collector for ArcGIS for fieldwork. For more information, contact Jaroslav Skrobak, City of Jihlava.